Lake County Moonwalks is a family owned and operated business located in Round Lake. 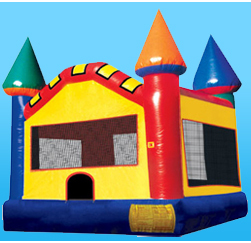 We provide inflatables, commonly known as moonwalks or bounce houses, for all your party needs. Our top priorities are the cleanliness of all our units, as well as the safety of all who enjoy the moonwalks. That's why we pride ourselves in offering clean, quality inflatables that meet these very needs! Children of all ages enjoy Lake County Moonwalks inflatables, as they see the delivery and set-up they are full of smiles! The parents can relax knowing that their children are playing in a clean, safe environment. Moonwalk Rentals caters to many different types of events such as; birthday parties, school functions, church events, day care centers, block parties, family reunions, wedding receptions, and many others. 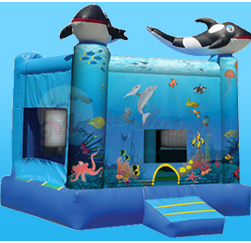 Click on any of Our Products to see details and pictures of our inflatables. Cities we currently deliver to: Lake County IL, McHenry County IL, Northern Cook County, IL, Walworth County WI, Kenosha County WI, Algonquin, Antioch, Arlington Heights, Bannockburn, Barrington, Beach Park, Benet Lake, Bristol, Buffalo Grove, Burlington, Carpentersville, Cary, Chicago, Crystal Lake, Deer Park, Deerfield, Delavan, Elkhorn, Fontana, Fox Lake, Fox River Grove, Gages Lake, Genoa City, Gilberts, Glenco, Grayslake, Great Lakes, Green Oaks, Gurnee, Hainesville, Hawthorn Woods, Hebron, Highland Park, Highwood, Huntley, Ingleside, Inverness, Inverness, Island Lake, Johnsburg, Kenosha, Kildeer, Lake Bluff, Lake Forest, Lake Geneva, Lake in the Hills, Lake Villa, Lake Zurich, Lakemoor, Lakewood, Libertyville, Lincolnshire, Lindenhurst, Long Grove, Marengo, McHenry, Mt. Prospect, Mundelein, New Munster, North Barrington, North Chicago, North Chicago, Northbrook, Paddock Lake, Palatine, Palatine, Park City, Pell Lake, Powers Lake, Prospect Heights, Richmond, Ringwood, Riverwoods, Rolling Meadows, Round Lake, Round Lake Beach, Round Lake Heights, Round Lake Park, Russell, Salem, Silver Lake, South Barrington, Spring Grove, Third Lake, Tower Lakes, Trevor, Twin Lakes, Union, Vernon Hills, Volo, Wadsworth, Wauconda, Waukegan, Waukegan, West Dundee, Wheeling, Wildwood, Wilmette, Wilmot, Winthrop Harbor, Wonder Lake, Woodstock, Zion. We do service additional areas on a case by case basis. A portion of our profits will be donated to breast cancer research foundations. We specialize in the following events in Illinois and Wisconsin: party rentals, birthday party, b-day party, communion, weddings, post prom party, lock in party, bar mitzvah, bat mitzvah, school event, fun fair, graduation, festivals, company picnic, corporate event, team building, school carnival, team building activities, church retreat, luau party, customer appreciation day, sweet sixteen, dance, baby birthday, block party, block parties, wedding reception, fundraising, holiday party, trade shows, and much more. Many licensed themes available: Disney Princess, Princess and the Frog, Tinker Bell, Mickey Mouse, Sponge Bob, Scooby Doo, Superman, Batman, Dora the Explorer, Looney Tunes, Fairly Odd Parents, Incredibles, Teenage Ninja Turtles, Strawberry Shortcake, Little Mermaid, Disney Cars, Casper the Ghost, Rugrats, Spiderman, Toy Story, Winnie the Pooh, Curious George. Other themes available: Sports, Racing Fun, Castle, Dream Castle, Luau, Palm Tree, Police Car, Birthday Cake, Happy Birthday with Animals or Kids, Halloween, Santa.